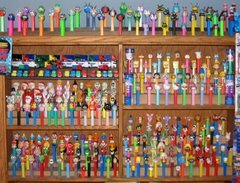 Notice that LABELS have been added in the left side bar to aid in you viewing and reviewing the fun family PEZ posts. We went to iParty today to get some stuff for Caitlin for a YSA trip that she is taking, and there they were. I have done this sort of thing before and dad has beat me too it but I am hoping that that is not the case this time but we were excited when we saw it. An appropriate donation is made in honor of Jeff's birthday to the Cornwall PEZ museum of KUNG FU PANDA series. Mom, Dad, the girls and Jeffrey all went to see the movie on Jeff's recent visit to 336. 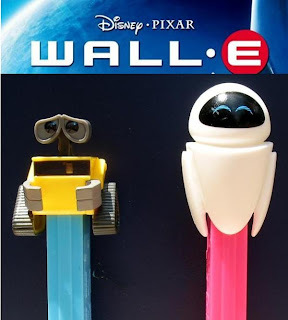 If you want to see a 360 view of WALL-E click here.